Home » Blog » Are my Work Injury Wage Loss Checks Paid at Correct Rate? 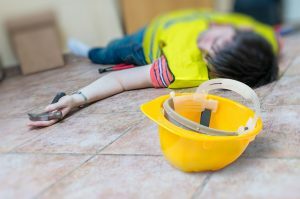 Are my Work Injury Wage Loss Checks Paid at Correct Rate? Injured workers are eligible for wage loss benefits following a work related injury. How those benefits are calculated depends on the unique circumstances of the injured worker’s employment. Generally speaking, an injured worker receives a percentage of his/her average weekly earnings during weeks of disability following a work injury. The average weekly earnings calculation is important because it provides the foundation for the mathematical approach to calculating disability payments due. If the average weekly wage is incorrectly calculated as too low, the injured worker will be underpaid disability benefits. This happens more often than most people realize. In many cases the injured worker receives 66 2/3% of his average weekly earnings in total disability benefits. For Pennsylvania work injuries occurring in 2017, those who earn between $1,492.50 and $746.26 per week receive 66 2/3%. If Bob earns $800 per week, he will receive $533.33 per week in total disability wage loss checks. Workers’ compensation checks are not taxed. Some injured workers are eligible for 90% of their average earnings in weekly disability benefits. For work injuries occurring in 2017 to those individuals who earn less than $552.77 per week they are eligible for 90% of their average weekly earnings in disability payments. In calculating average weekly earnings consideration must be given to the length of an injured worker’s tenure of employment with the employer, whether the worker is paid hourly, weekly, or annually, whether room/board/lodging are included in the employee’s compensation package, whether the worker has more than 1 job, as well as many other factors set forth in the workers’ compensation laws. We see many employers and insurance carriers incorrectly calculate or even improperly estimate a workers’ average weekly earnings. We recently discovered an error made by an insurance carrier who had been underpaying a client by nearly $100 per week. Through investigative efforts and quick action we are able to bring the matter to a favorable resolution to the benefit of our client resulting in several months of underpaid wage benefits being paid in a lump sum and the weekly disability checks corrected moving forward. Don’t take the insurance carrier’s wage calculations for granted. Carefully review the calculations and ask the insurer to show you their math and show their work. Better yet, do this with the assistance of a skilled attorney specializing in protecting injured workers’ rights.